There will little doubt that Zelda: Breath Of The Wild would be extremely popular to both Zelda fans and non-Zelda fans alike. In the 7 weeks that it has been released, it has sold just under 4 Million Copies on Switch and Wii U. The Nintendo Switch sold the vast majority of copies at 2.76 Million and the Wii U version just over the Million mark (1.08 Million). 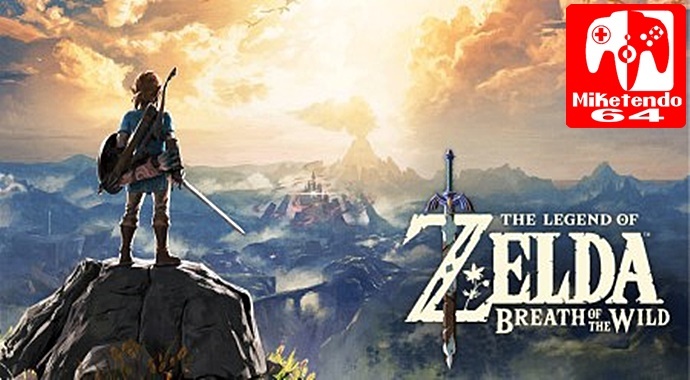 Nintendo have added Zelda: Breath Of The Wild to their Million Sellers list (The Switch version being the only one so far and the Wii U version just under Mario Party 10 (Oh, the shame! Just kidding, I actually like Mario Party 10). Anyway you can check out the Million Sellers list below. The Legend of Zelda: Breath of the Wild – 2.76 million pcs. Mario Kart 8 – 8.31 million pcs. New Super Mario Bros. U – 5.68 million pcs. Super Mario 3D World – 5.60 million pcs. Super Smash Bros. for Wii U – 5.20 million pcs. Nintendo Land – 5.17 million pcs. Splatoon – 4.80 million pcs. Super Mario Maker – 3.95 million pcs. New Super Luigi U – 2.95 million pcs. The Legend of Zelda: The Wind Waker HD – 2.17 million pcs. Mario Party 10 – 2.09 million pcs. The Legend of Zelda: Breath of the Wild – 1.08 million pcs. Pokémon X/Pokémon Y – 16.11 million pcs. Pokémon Sun/Pokémon Moon – 15.44 million pcs. Mario Kart 7 – 15.22 million pcs. Pokémon Omega Ruby/Pokémon Alpha Sapphire – 13.74 million pcs. New Super Mario Bros. 2 – 11.27 million pcs. SUPER MARIO 3D LAND – 11.27 million pcs. Animal Crossing: New Leaf – 10.97 million pcs. Super Smash Bros. for Nintendo 3DS – 8.72 million pcs. Tomodachi Life – 5.70 million pcs. Luigi’s Mansion: Dark Moon – 5.31 million pcs.